How are the nation’s institutions that train tomorrow’s teachers doing? The second edition of NCTQ’s comprehensive Teacher Prep Review has the answers. This edition is one third bigger than last year’s, and features program rankings, so that teacher prep’s consumers can readily know which are the best bets. Click here to read more. By almost any standard, many if not most of the nation's 1,450 schools, colleges, and departments of education are doing a mediocre job of preparing teachers for the realities of the 21st-century classroom," and "America's university-based teacher preparation programs need revolutionary change, not evolutionary thinking. 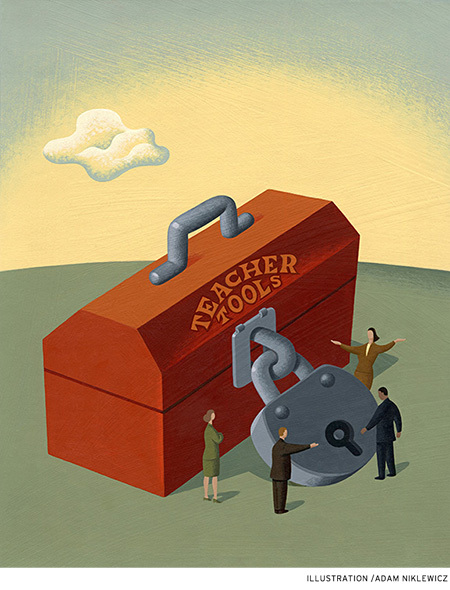 Teacher training may be the single most important contributor teacher effectiveness but few states actually measure the student achievement gains produced by the graduates of their teacher preparation programs. Tennessee and Louisiana are the exceptions. The Praxis Examinations long used by state teacher licensure agencies have little demonstrated relationship to student achievement gains ( Buddin & Zamarro , RAND, 2009). Louisiana has been reporting on the effectiveness of training programs since 2000. Teacher-educators have lost sight of the public's educational aims, and that this misalignment between what the public wants and what experts believe is best is the primary source of dissatisfaction with public education. The professional courses exposed me to many philosophies, which were valuable, but I was totally unprepared for the impact of teaching itself. This report examines traditional teacher preparation in classroom management, which is a struggle for many teachers, especially new ones. It studies over 100 programs, both elementary and secondary, graduate and undergraduate. The report identifies the classroom management strategies that garner the strongest research support and looks at the extent to which programs teach and offer practice in these strategies in instructional and clinical coursework, as well as in student teaching.